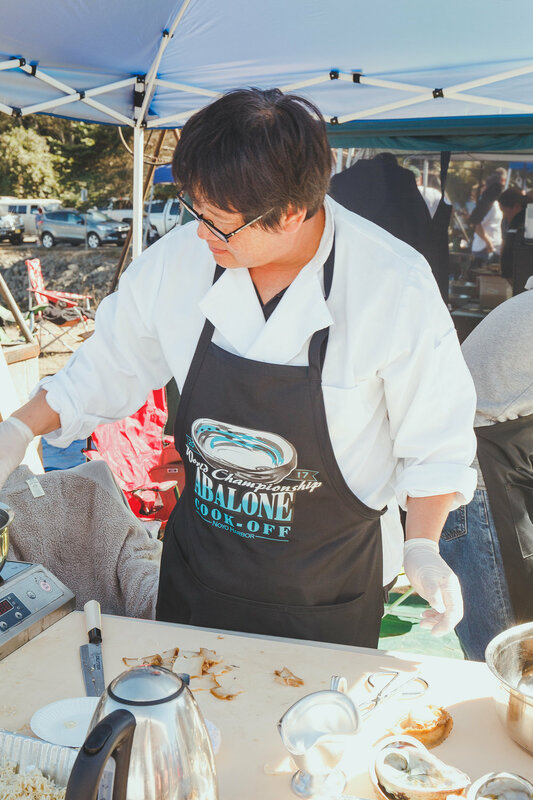 Congratulations to The 2018 Mendocino Ocean + Seafood Fair First Place winners: Goodness Gracious, Personal Chef and Catering! (Their recipe was Rockfish Shakshuka, on a homemade flatbread with goat cheese. They will receive an engraved plaque and $2500. They will receive, respectively, $500 for second place and $250 for third place, and a plaque. 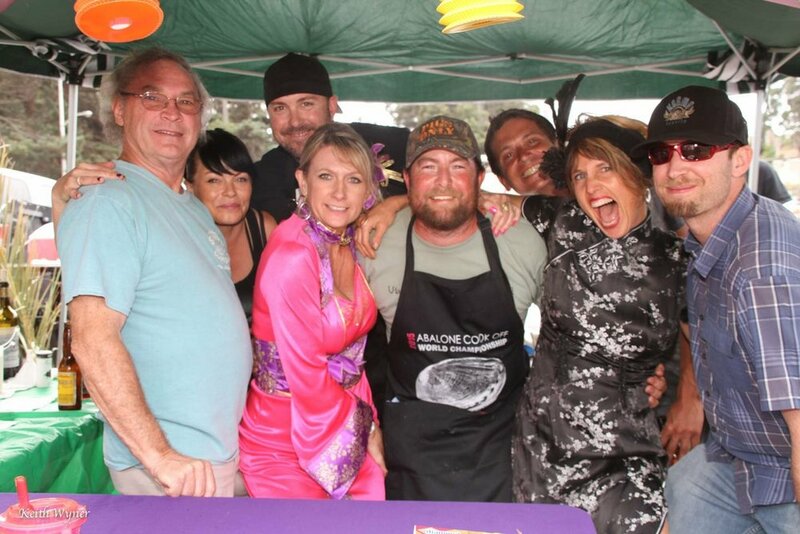 Thank you to all of our cooks, your tastes were perfection! In case you missed it, there were Abalone “Poppers,” Shrimp Ceviche, Rockfish Ciopino, Abalone Chowder, and the crowd favorite Cod Cakes. We can’t wait to see what you all create next year! We are also very grateful to our three professional judges who tasted the seafood entries and voted on first, second and third prize winners, Chef Ben Paula, Bill Upson, and Anna Monette Roberts. Growing up, Chef Ben Paula fell in love with the kitchen by cooking with his dad in their family home in Massachusetts. While attending Endicott College outside of Boston, Ben got his 1st chance to directly influence the output from a restaurant kitchen while creating daily menus as Sous Chef for the Wild Horse Cafe. He liked the challenge and the satisfaction of creating the dishes, and knew eventually he wanted to open his own restaurant. While assisting world-renowned “Fear No Ice” ice-carving performers with an exhibit at the Vail Cascade resort, Ben caught the eye of Chef Jesse Llapitan. Chef Llapitan offered him a position at the four-diamond Vail Cascade Resort and a year and a half later invited Ben to join him as Banquette Chef for the grand opening of the St. Regis Hotel in Los Angeles. Following a tremendously successful opening Chef Ben was asked to take over as Executive Sous Chef at the Universal Sheraton where he gained invaluable experience in catering and event execution. Ben then decided it was time to return to the more intimate restaurant scene and left the hotel industry, moving to San Francisco in 2003 where he revitalized the menu at Charlie’s on Union. 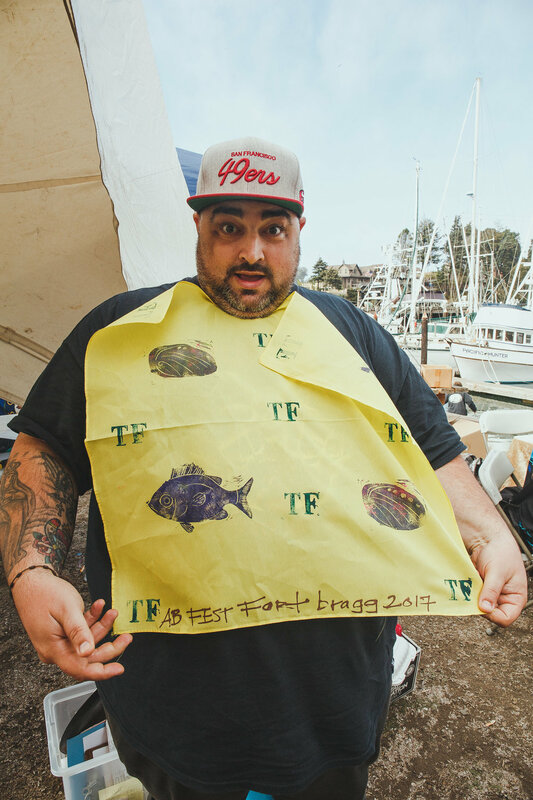 After serving as Chef and GM for Charlie’s Ben decided the time had come to open his own restaurant, and teamed up with the Hosley brothers, opening Sauce in Hayes Valley in 2004, and their second restaurant location, Sauce Belden Place on San Francisco’s famous Belden Alley, in 2012. From blazing chainsaws and 400 lb blocks of ice, to razor sharp knives and blistering sauté pans, Chef Ben rises to any challenge, and creates from the heart. At both Sauce locations, he does a bit of everything, from personally hand-crafting the solid bars at each to delivering the extra ladle of gravy to a table in need. Chef Ben’s love comes through in every aspect of Sauce and his personality, and signature dishes, ranging from portabello mushroom fries to bacon-wrapped meatloaf, will warm your heart as well as fill your belly, and like Ben himself, always deliver just a little more than you expect. Bill Upson is a veteran restaurateur with over 40 years of success in this volatile and demanding industry. Born in Jacksonville Beach, Florida, Bill received a degree in Psychology from the University of South Florida before being drafted to the US Marine Corp where he served in an F4 attack squadron in Vietnam. After the war, he returned home and attended a career day at USF, where he received offers from multiple insurance companies and one restaurant group. “I was always hungry, so I chose restaurants,” he offers. Over the years, Bill was a managing partner for Lettuce Entertain You in Chicago, and Spectrum Foods in San Francisco. He and his first partners founded Napa Valley’s famous Mustard’s Grill. He went on to launch such notables as Betelnut, Bistro Roti, Bungalow 44 and Tra Vigne, as well as his current operations including Tra Vigne Pizzeria, Buckeye Roadhouse, Picco, Picco Pizzeria, Bix, Bar Bocce, Zero Zero, and Tre Posti Catering. Bill co-owns three restaurants in Charleston, SC, including Stars Bar & Grill, Amen St. and Paw Paw, as well as the Press Lounge and Print Restaurant at the Ink48 Hotel in New York City. He admires the grit, tenacity and creativity it takes to be a successful restaurateur and wishes luck to all of those who attempt this as a career. Anna Monette Roberts is currently the food editor of Brit + Co and was previously the editor of POPSUGAR Food. She studied English at UCLA and completed a Chef's Training Program at Natural Gourmet Institute For Health & Culinary Arts. She's worked the line in fine dining, trained as a chocolatier, and managed a bakery. She loves recipe developing, taste testing new products, and interviewing chefs. All day she dreams of food, but she particularly can't get enough rosé Champagne, chewy chocolate chip cookies, and gooey French cheeses. This event is the main fundraiser produced by and for the Mendocino Area Parks Association (MAPA) to support natural and cultural history programs in the State Parks of Mendocino County, as well as park improvement projects, park advocacy, and the operation of Standish-Hickey State Recreation Area.